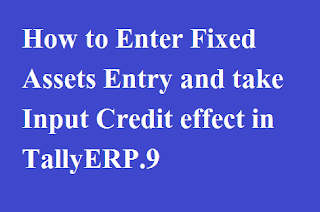 Home / GST-Tally / How to Enter Fixed Assets Entry and take Input Credit effect in TallyERP.9? 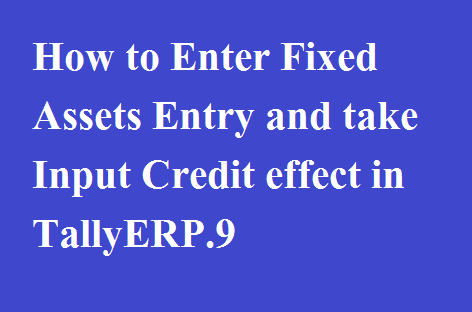 How to Enter Fixed Assets Entry and take Input Credit effect in TallyERP.9? 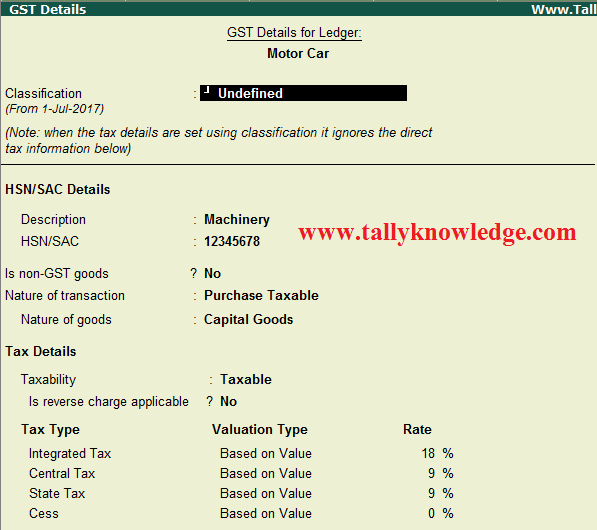 In this Tutorial, We learn about entry of Fixed Assets and get input credit in GSTR 3B & GSTR 2. Once you completely setup your data for GST Compliances under Tally.ERP9. Press Enter to Save the details. Press Enter again to save the voucher creation screen. Enter voucher as shown above. Remember if you enter voucher as invoice then Fixed Assets ledger will not appear in ledger list. So record in voucher mode. Now go to your GSTR 3B and GSTR 2 for see effect of GST Credit in your returns. Nice post. ERP is very helpful to boost your business sales. Kanhasoft is the top notch custom ERP application development company in India providing offshore services. Visit our site to know more.